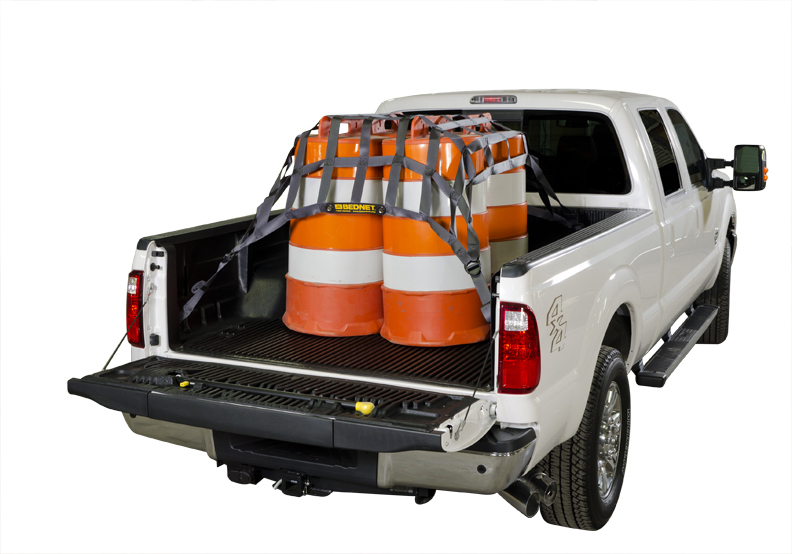 Bednet® Original – The ground-breaking design of the Bednet® Cargo Restraint System allows your crew to quickly and safely secure loads in pickups, utility body vehicles, vans and trailers. The integrated straps quickly adjust and conform to the load. Accessory carabiners allow semi-permanent installation at the cab side of the truck bed as well as giving the added flexibility to shrink the net for tighter spaces and smaller loads. The coated hooks and super-tough nylon buckles will not scratch the vehicle. The Bednet® CRS is made of toughest polyester seatbelt webbing for maximum cargo control. Carry case included. DOT and NACSS Compliant. Bednet® Interior Cargo Restraint – The Bednet® Interior Cargo Restraint keeps cargo safely in the back seat so drivers can concentrate on driving. This safety device installs in moments to the seat brackets and seatbelt webbing with included hardware. No alterations are necessary to the vehicle. Carry case included. DOT and NACSS Compliant. Bednet® Utility Cargo Net – The Bednet® Cargo Utility Net is a great solution for trailers and other restraint application. Made from 5,600 lb. tensile strength seatbelt webbing, these rectangular nets offer many attachment points to allow them to conform to most loads. Tie downs not included. DOT and NACSS Compliant. Bednet® Compact Utility Net – The Bednet® Compact Utility net quickly and effectively secures your gear on the front racks of ATVs… The movable shock cord attachments keep cargo snug to the rack. Also very useful in cargo restraint in trunks and other small cargo areas. DOT and NACSS Compliant. Bednet® Aerial Truck Net – The Bednet® Aerial Truck net provides an effective solution for cargo control behind the boom mounting. Designed so that all adjustments can be made from the rear of the vehicle, this webbing and mesh restraint will keep even the smallest items from sliding out the back. DOT and NACSS Compliant. Bednet® Cage Net – The Bednet® Cage Net provides a practical solution for cargo control in utility body trucks without mountings in the rear. This passive containment system turns the rear of the bed in to a covered area and allows access and manipulation from the ground. Riding on quick release header and footer straps, the net is simply slid to the side for accessing small items. For larger objects, detach the net from one side. DOT and NACSS Compliant. 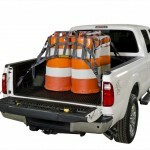 Bednet® Stake Truck Net – The Bednet® Stake Bed net contains most cargo in the rear of stake bed trucks. Secured by six integrated commercial cam straps, the body of this net is made from 5,600 lb. polyester seatbelt webbing with a mesh underlay. Designed specifically to attach at the sides of most stake beds, these nets can be handled and adjusted by one person. DOT and NACSS Compliant.